In the heating, ventilating, and air-conditioning (HVAC) system, chiller is the central part and one of the primary energy consumers. For the purpose of saving energy, the identification of the chiller model is of great significance. 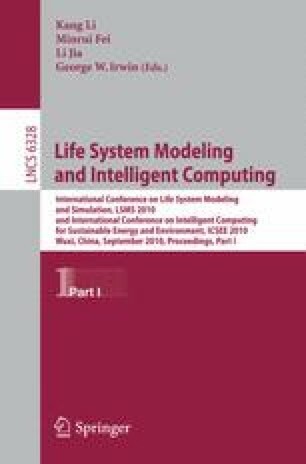 In this paper, based on fuzzy inference rules with Zadeh’s implication operator, the model of chiller in HVAC is identified. The mean square error (MSE) is employed to evaluate the approximating capability of the fuzzy inference system. The objective of the problem is to minimize MSE. Since the Zadeh’s implication operator is adopted in the fuzzy inference, the output of the system becomes a continuous but non-smooth function. In addition, the objective function contains many parameters that need to be optimized, consequently, traditional optimization algorithms based on gradient descent method fail to work. Therefore, an improved genetic algorithm (GA) is applied to minimize the MSE. Actual operational data of a chiller in HVAC are gathered to train the fuzzy inference system. Numerical experiment results validate the accuracy and efficiency of proposed fuzzy model and the improved GA algorithm.